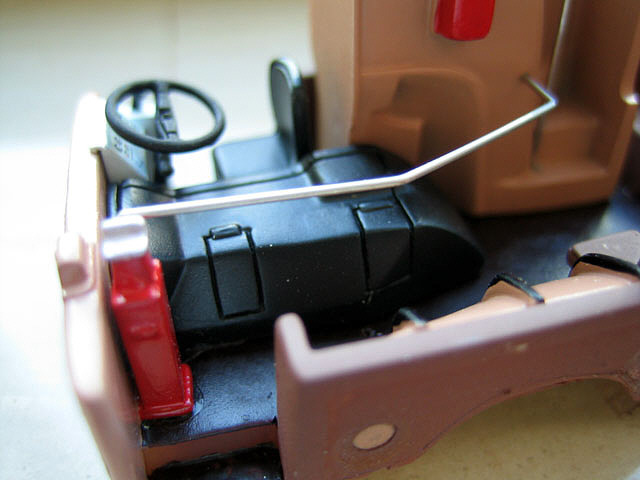 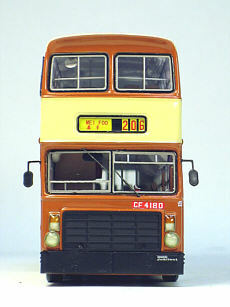 The model - a new name in resin models, Auto Motor Collection, released details of this, their first model, early in October 2007. 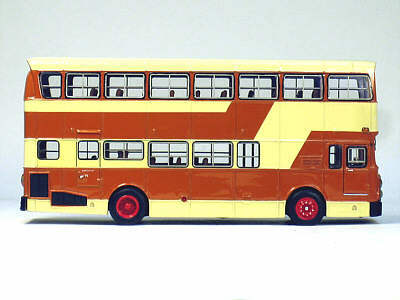 Two versions are being released, one with cream wheels and a destination of Tsim Sha Tsui and the other with red wheels and a destination of Mei Foo. 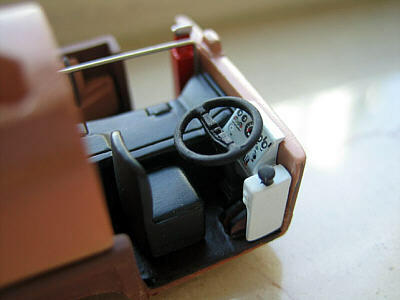 Each is limited to 250 pieces. 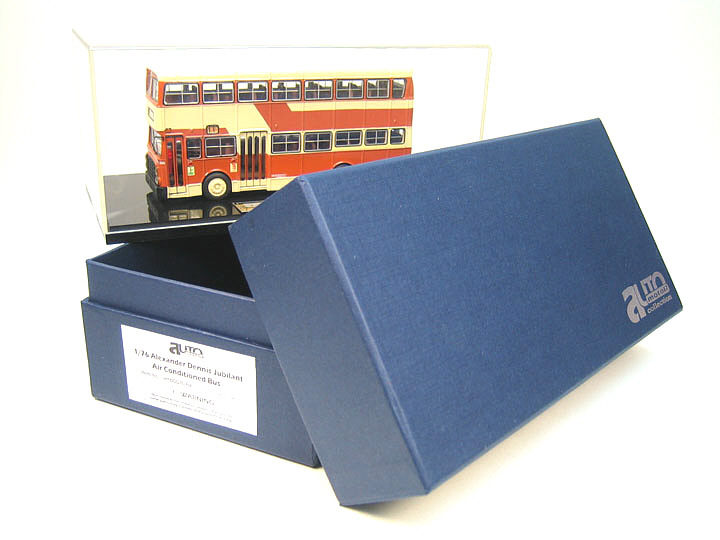 The models come on a solid plinth which has the limited certificate affixed to it. 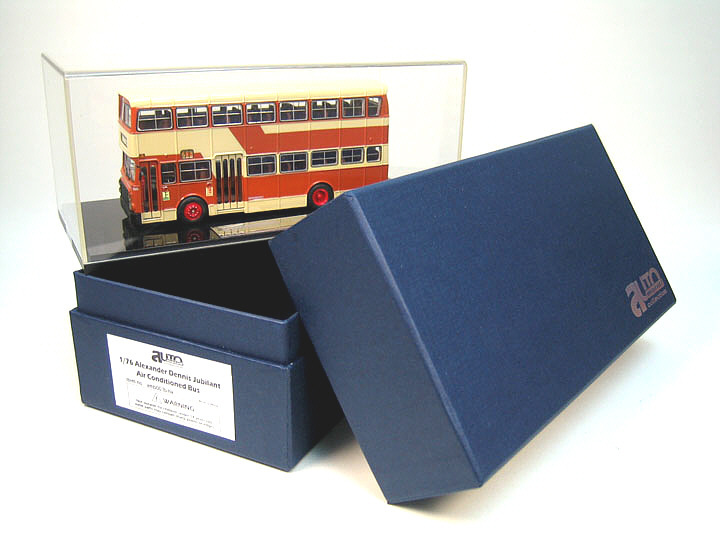 It comes in a sturdy presentation box with plastic infills to protect the model during transit. 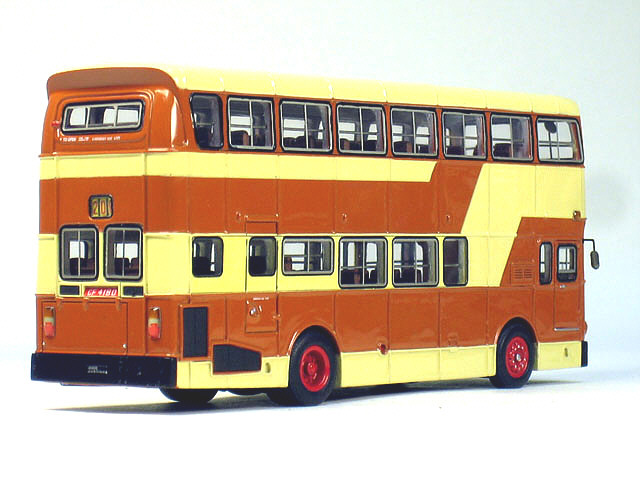 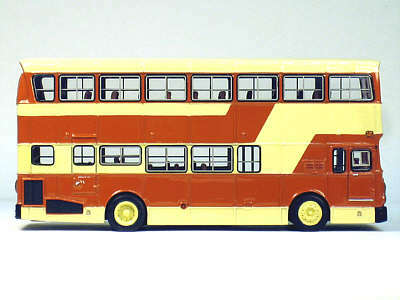 The bus - after successful trials with the four prototype Dennis Jubilants (N1-4) Kowloon Motor Bus placed an order for 50 chassis, which were delivered in 1979/80. 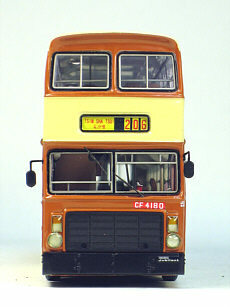 Orders for a further 310 chassis followed over the following years. 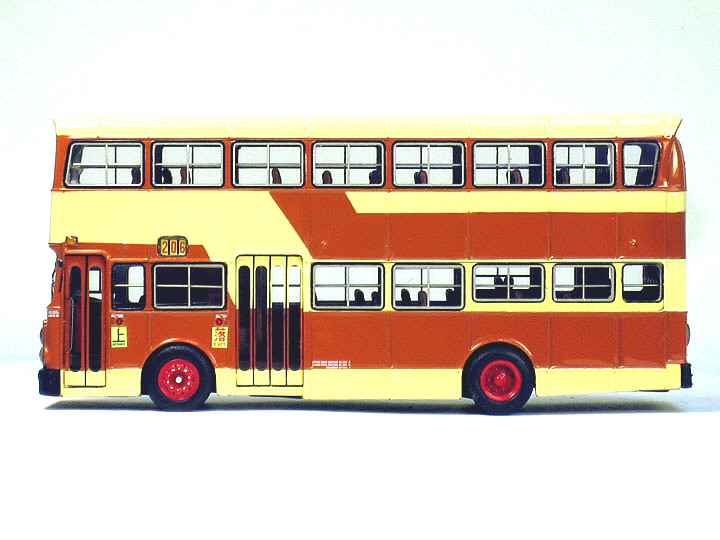 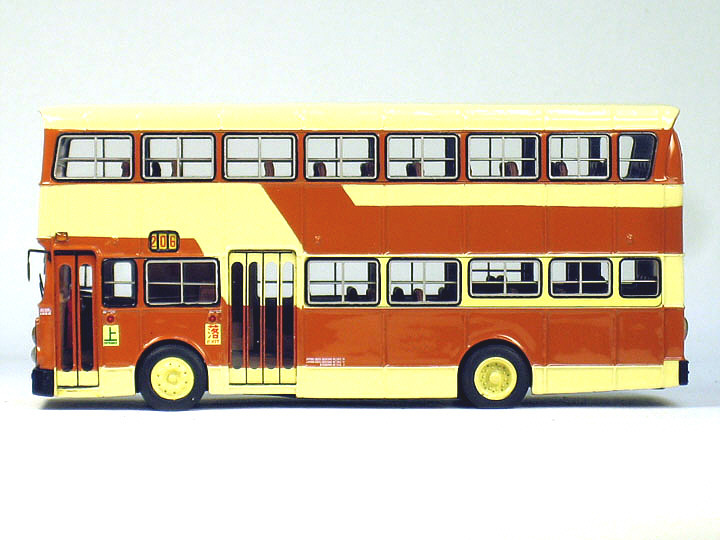 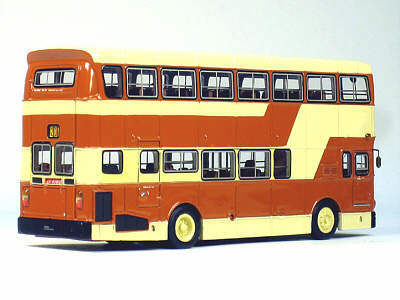 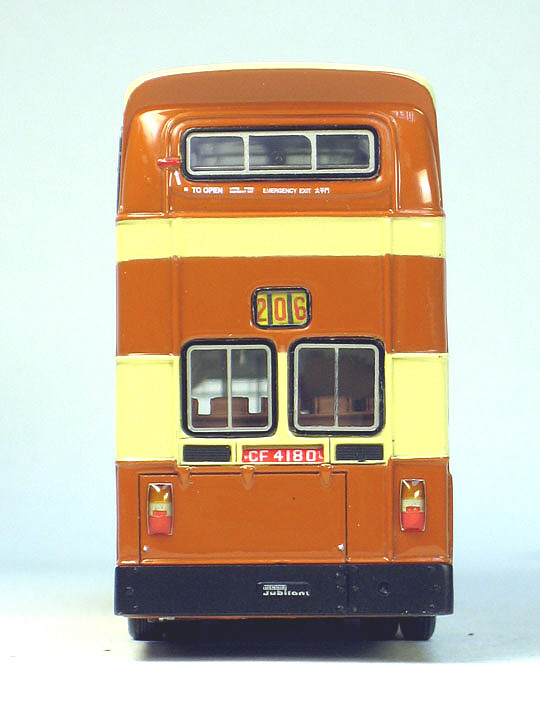 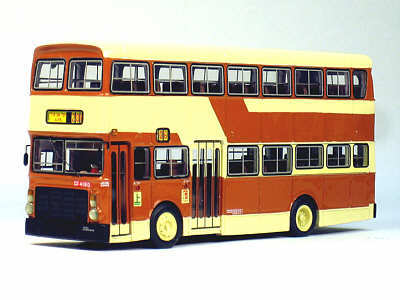 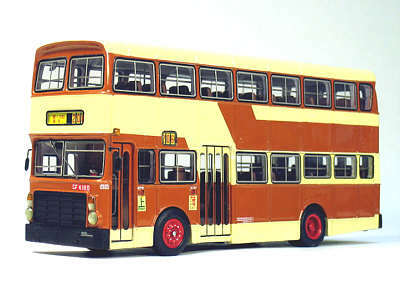 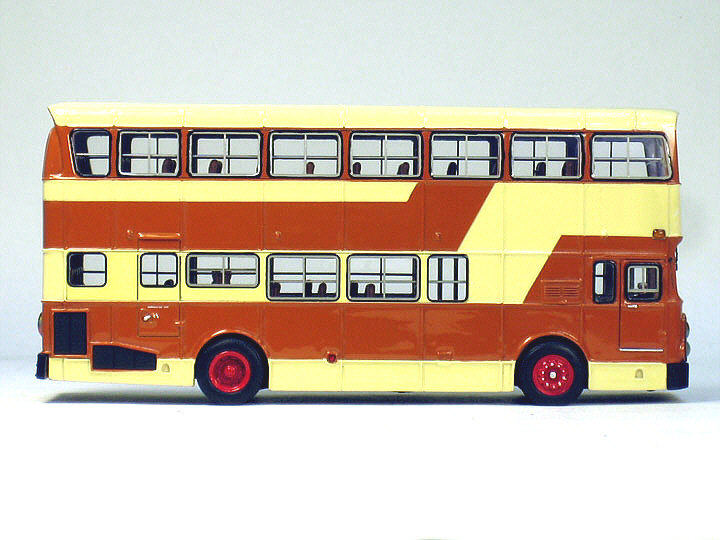 Of the first order, 49 were fitted with Alexander bus bodies, which had been built in Scotland. The remaining chassis received a similar body, built in Hong Kong, but was classified as a coach, having 2+2 coach seats (as opposed to 3+2 for the buses) and was also fitted with air-conditioning. 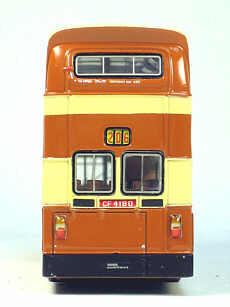 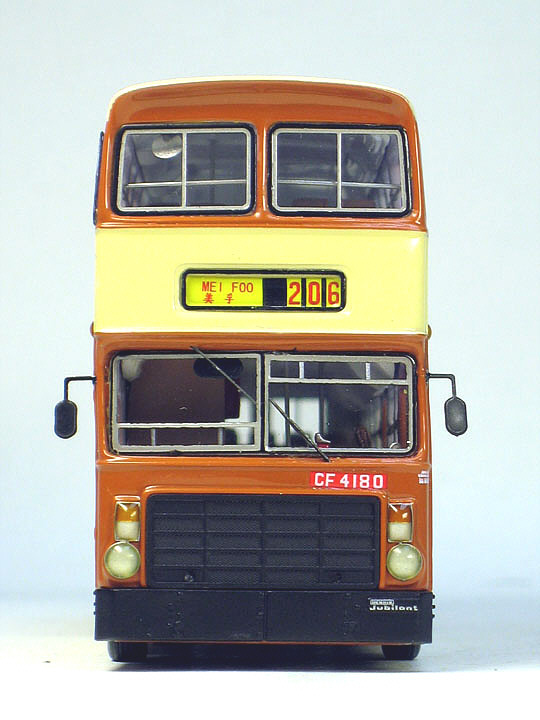 It received no fleet number, being known only as CF4180 and entered service almost 4 months after the last bus in the batch (on 11th June 1980). 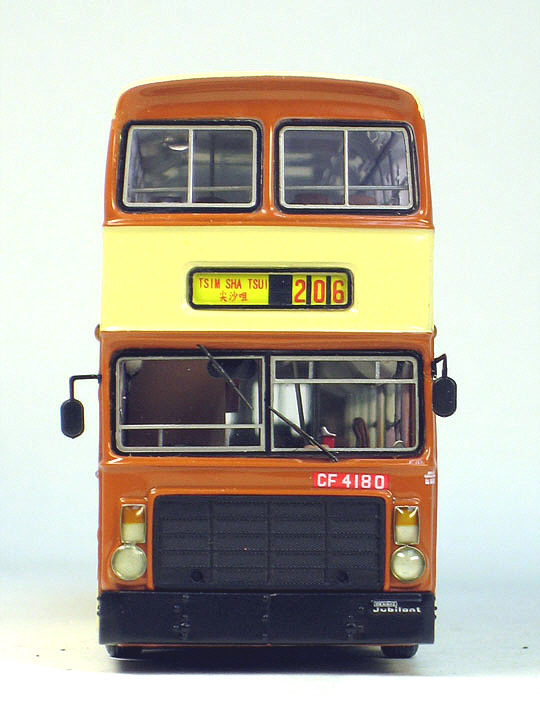 With the curtailment of coach route 206, CF4180 became redundant and was withdrawn, pending removal of the air-conditioning and fitting of bus seats, after which it entered service again as N364 introduction. 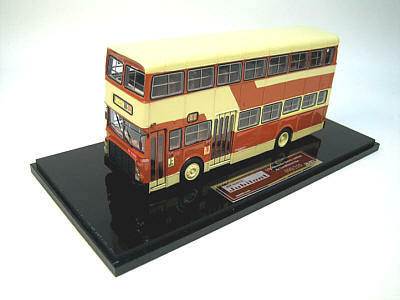 The above information has been extracted from Mike Davis's excellent book 'Hong Kong Buses - Kowloon Motor Bus'.